This cast bronze and concrete sundial has a 12-foot-tall gnomon and a dial plate 20 feet in diameter. 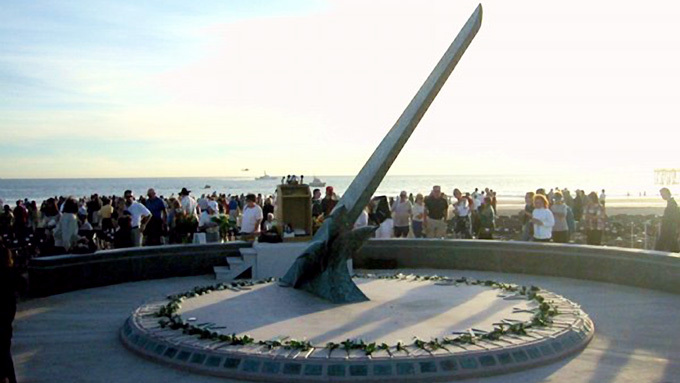 Cinnabar provided engineering, construction and installation services for this important public memorial located in Port Hueneme, CA. The Memorial commemorates the 88 passengers and crew who lost their lives aboard Alaska Airlines Flight 261 near Anacapa Island on January 31, 2000.